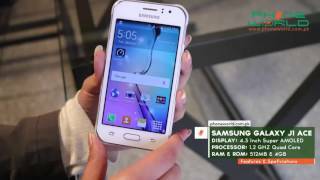 Samsung Galaxy J1 Ace comes with great specifications, for example, it includes a 4.4 Android and 1.2Quad Core processor for improved overall operations and battery efficiency. Coming with Super AMOLED 4.3 inch screen, Samsung Galaxy J1 Ace is a beautifully crafted phone that allows every kind of operation on the palm of your hand. 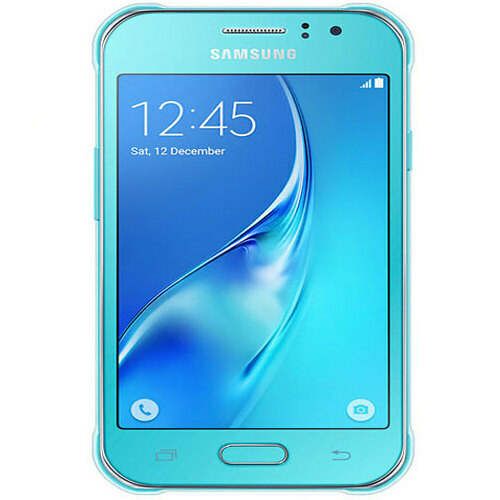 The phone is designed for those who keep pace with time as Samsung Galaxy J1ï¿½s rounded back provides excellent holding position and front is designed to give exotic appeal to users. Powering the Dual SIM with 3G communication support, the Samsung J1 Ace further enhances the connectivity with Bluetooth 4.1 and micro USB port provides enhanced connectivity in every situation.